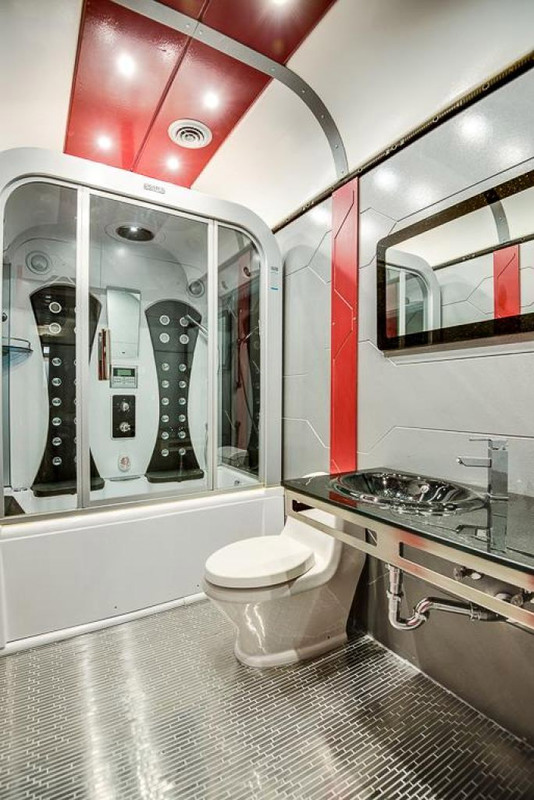 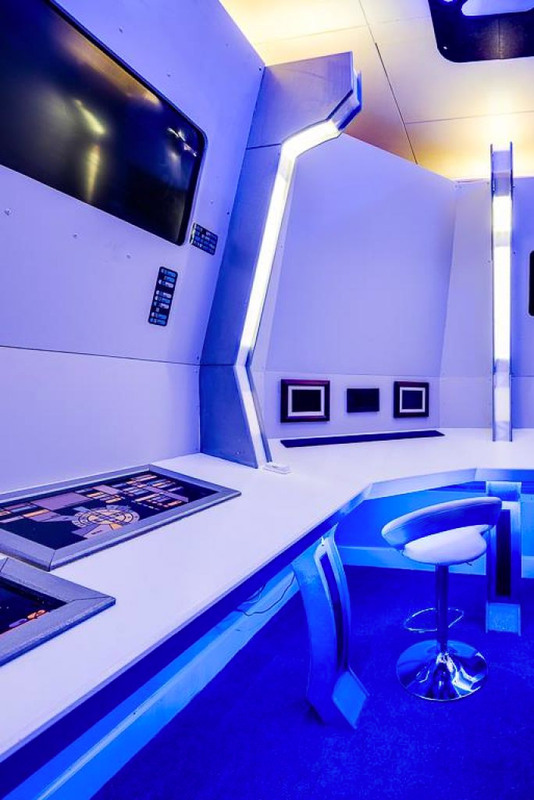 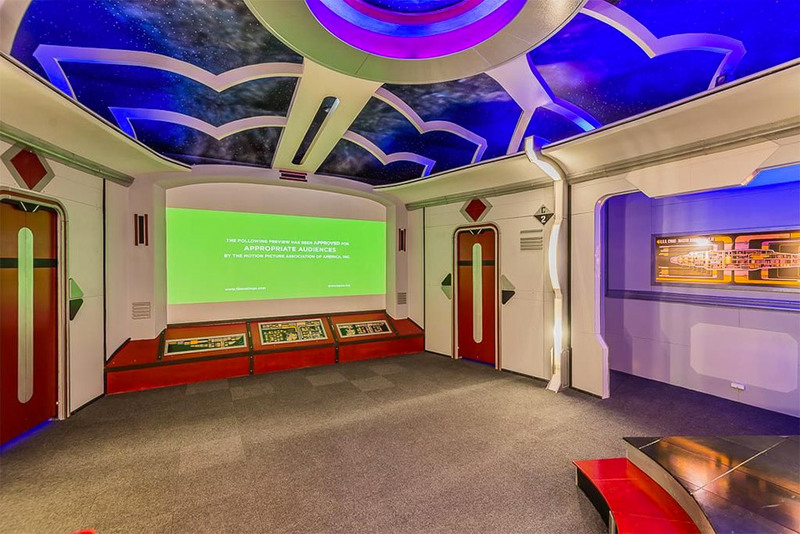 If I had the money, I would definitely turn my home into a Star Trek ship. 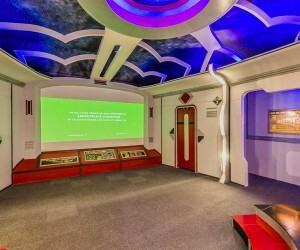 Or at least put in a cool Trek themed theater, like this mansion has. 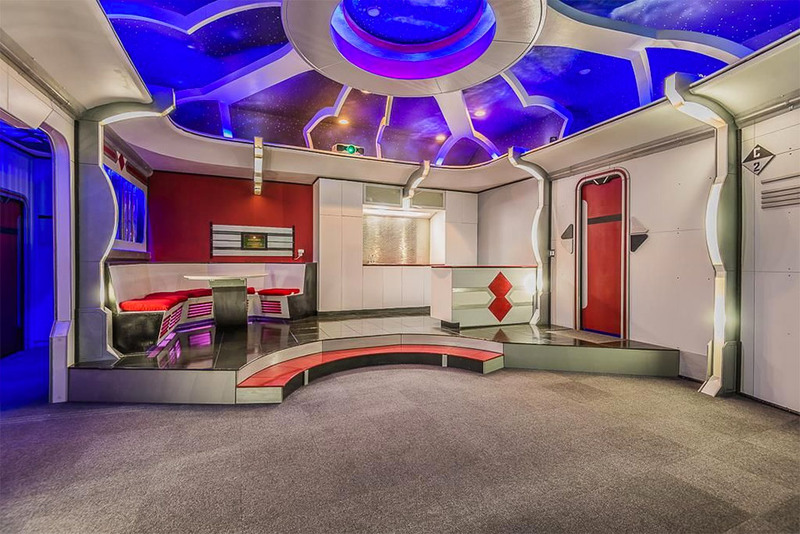 This house is located in Friendswood, Texas. 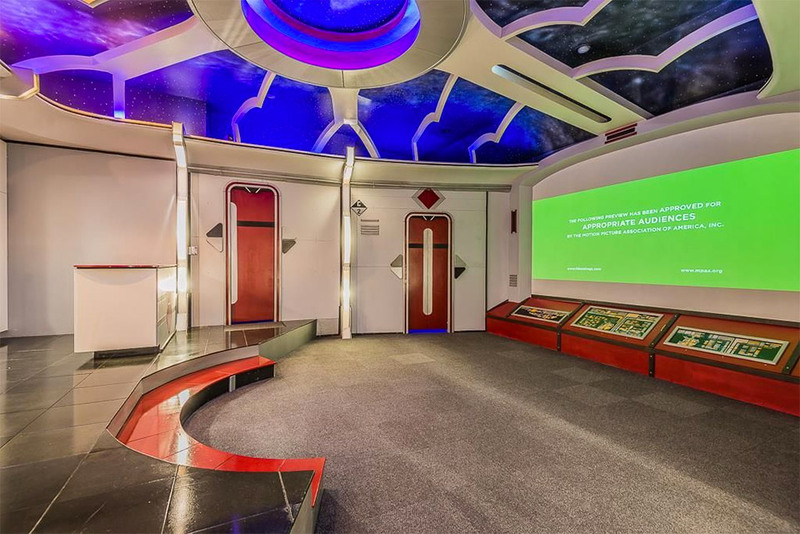 It is a massive 6,389 square-foot home, with a castle-like bedroom, a music-inspired loft bedroom, huge kitchen and a Star Trek theater. 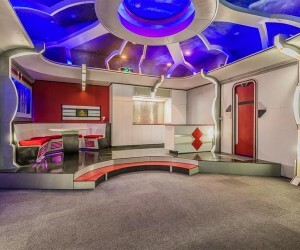 And it can be yours for just $1,265,000. 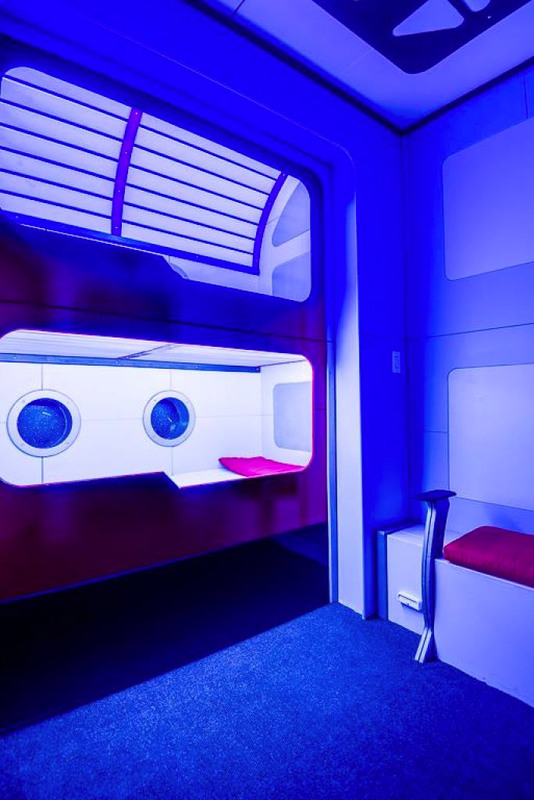 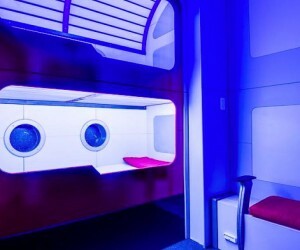 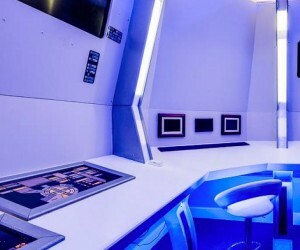 The theater area was designed by Tiny Town Studios and this theater has a high-definition projection screen, its own kitchen, dining area, a dormitory with futuristic bunk beds and a command center for the Captain. 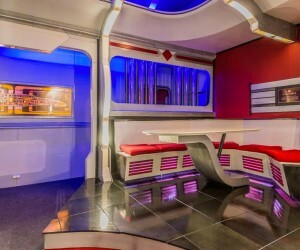 It’s pretty awesome, even if they did mix elements from all eras of Trek. 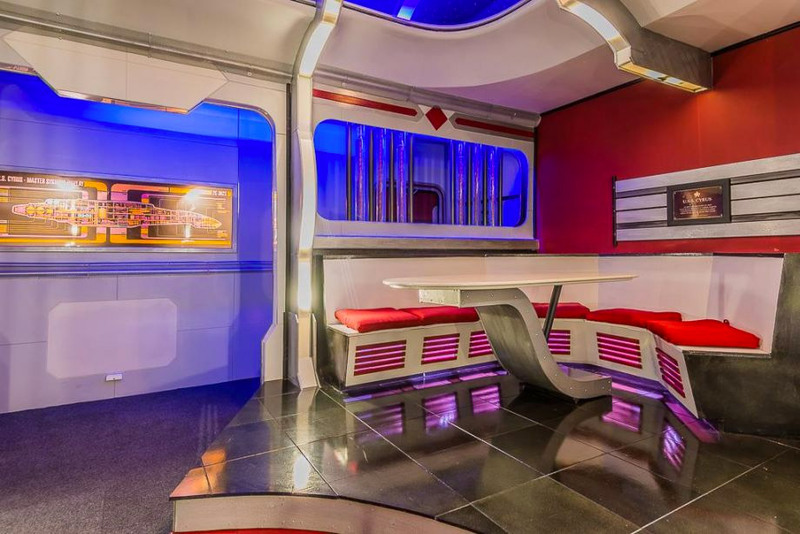 I would buy this place if they threw in a replicator.